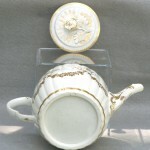 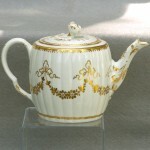 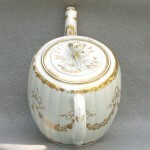 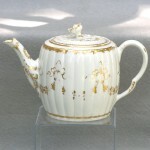 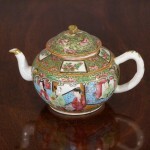 An attractive late 18th century gold and white teapot, though unmarked is undoubtedly a product of the Worcester manufactory. 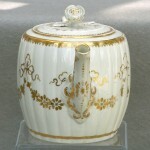 The ribbed barrel form is decorated with gold swags. 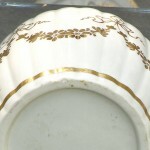 This would make a very good shelf piece at a low cost as one side has had the gold heavily rubbed. 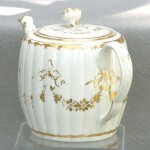 No repairs but heavy rubbing of the gold on one side and the handle.